The finalists for five of the six prestigious Thoroughbred Industry Employee Awards have been announced. The winner of the sixth category, The Thoroughbred Industry Community Award, is Angie Carmona, deputy executive director and secretary of the California Thoroughbred Trainers. The other finalists, along with Ms. Carmona, will be recognized at an awards ceremony luncheon. The shortlist judging panel, first of the two judging panels, met at the Thoroughbred Owners and Breeders Association (TOBA) offices on Friday, Sept. 7, to decide the finalists and Community Award winner. The second and final stage of judging will take place on Oct. 30 with a separate judging panel deciding the winners in the five remaining categories. The winner of the Thoroughbred Industry Community Award has already been decided as one prize is awarded in that category. 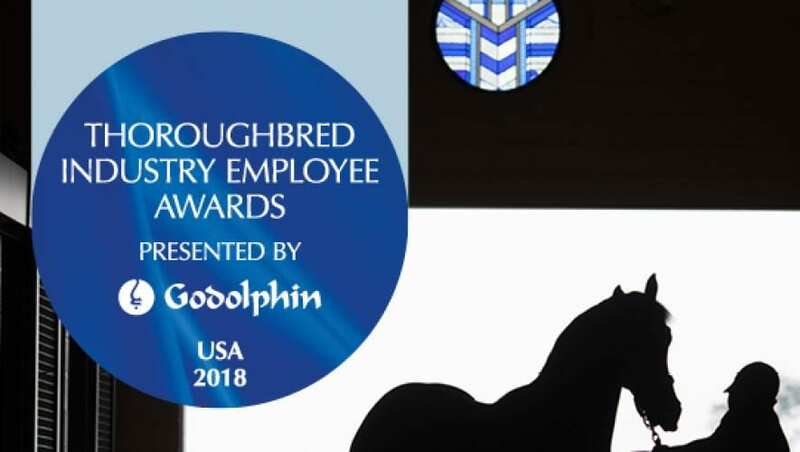 Dan Fick, chairman of the shortlist judging panel, stated, “On behalf of my fellow judges, we would like to expressly thank Godolphin and Sheikh Mohammed for presenting and underwriting these very prestigious employee recognition awards for the third year in America. Angie Carmona and these 15 finalists are being recognized for their dedication and leadership in Thoroughbred horse racing and breeding because they are the unsung heroes of our great industry. “Judging all of the nominations in six categories was an honor and a pleasure for the judges. The stories were heart-warming and inspirational. There are so many deserving women and men working with our horses, it made all of us proud to be part of this wonderful sport. The shortlist panel was comprised of: Chairman Dan Fick, chairman of Racing Officials Accreditation Program; Holly White, director of development, Grayson Jockey Club Foundation; Stephanie Nixon, vice president, Virginia HBPA; Nacho Patino, general manager, Siena Farm; and Beth Bayer, Thoroughbred Sales Agent. Churchill Downs will host the awards ceremony on Wednesday, Oct. 31 in partnership with Breeders Cup week. Jehobany Alvarez, Peter Miller Racing Stable Inc. This entry was posted in NL List, People and tagged Angie Carmona, beth bayer, dan fick, Godolphin, holly white, nacho patino, sheikh mohammed, stephanie nixon, thoroughbred industry employee awards by Press Release. Bookmark the permalink.